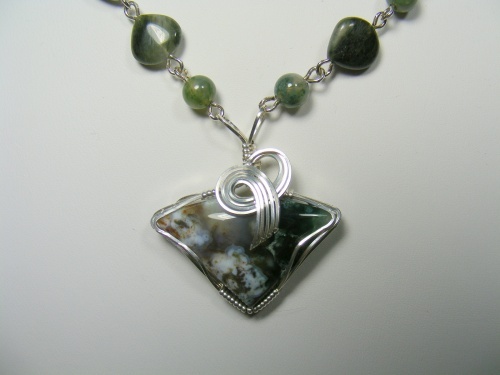 This pretty moss agate gemstone linked necklace has a gorgeous focal of swirled caramel and green colored agate. Sculpted in sterling silver swirls making this a one of a kind pieces. Measures 18".